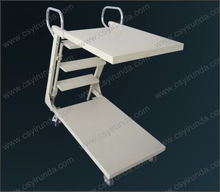 YIRUNDA commits to offer our world customers the supermarket solve solutions, our Stock Picking Ladders carts are perfect for supermarket warehouse use. Make stocking shelves and pulling orders easier! 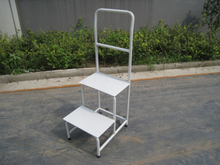 otherwise stock picking ladder combines the benefit of a rolling safety ladder and a stock picking cart. With multiple shelves you are assured to have plenty of room. 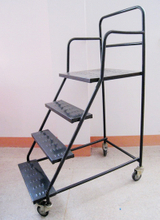 if you have some special requirments, just feel free contact us for better understanding and customize stock ladders for you.